Mindful-Way provides mindfulness presentations to conferences and events of many varieties. 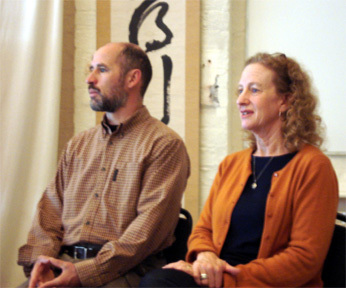 Beth Mulligan and Hugh O’Neill are internationally-known speakers with a long history of offering engaging, relevant talks. We offer dynamic, interactive presentations which include the latest research as well practical approaches which can be implemented immediately. We tailor our presentations to fit the needs and the schedule of the event or conference. Contact us now to find out how we can bring mindfulness to you! Contact us to find out how we can bring mindfulness to you!